The Diary of Oliver Lee tells the tale of the last Liturian, cursed and blessed with the ability to stream stories from the minds of others and tell the tales they can’t. As a young boy, Kevin is pulled toward a mysterious used bookstore that only he seems able to see. He enters and meets an eccentric sales clerk who gives him the diary of a man named Oliver Lee. The boy takes the book home and reads of the old man’s lifelong search for a couple he has never met, as well as his journey through the lives of the fantastic and the ordinary to find and save their lives. After he finishes reading the diary, the boy races back to the bookstore, but finds that it is now empty. Begin the chronicle and understand the mystery, the lies, and the truth of Oliver Lee in this unforgettable, puzzling fantasy novel, which is the first book in the Liturian trilogy. 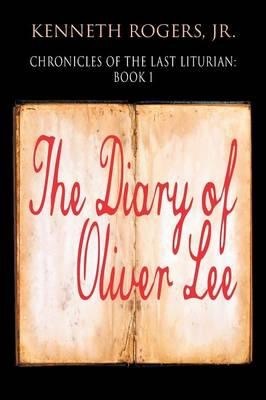 Years have passed since Kevin first read the diary of Oliver Lee in book one of the series. The used bookstore still stands where he was given the diary by an eccentric sales clerk who then vanished, and now a little girl named Alex has wandered through its doors. Mystified by tales her grandmother told her of her best friend, Kevin, who vanished after reading about Oliver Lee, Alex enters the abandoned bookstore and finds the same journal. After taking it home, her grandmother, GG, is furious that she broke into the store. The story takes place as race relations and riots erupt over the summer of 1964. GG tells Alex the stories she read about Oliver Lee were fake and that he didn’t really exist. But when Alex leaves, GG begins to read the journal Alex found in Antique Books and realizes it’s the same diary from her past. She finds Kevin has added the story of how he met GG, his ability to hear the music of crimson leaves as they sprout from the white oak near the school, and his search for Oliver Lee that can save two innocent people he believes will die if he doesn’t act. As GG and Alex get sucked into Kevin’s world, Kevin explains his newfound ability to “stream” stories while searching for answers about Oliver Lee, Antique Books, and the deaths of the couple he’s trying to save. Is Kevin transforming into the living myth of Oliver Lee? 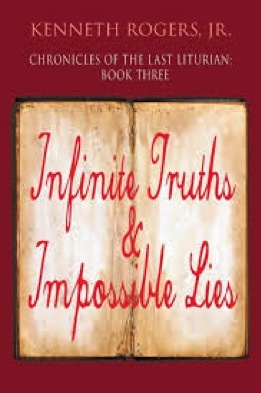 The third and final book in the trilogy, Chronicles of the Last Liturian - Book Three: Infinite Truths & Impossible Lies, answers questions about fate, and the choice between love over fear. In book one, Kevin enters Antique Books, discovering the diary of Oliver Lee. After taking it home to read, Kevin learns of Oliver Lee's ability to Stream stories and his search for a loving interracial couple to return the story he Streamed from their loving encounter. 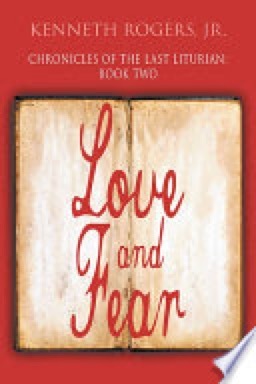 In book two, a young girl, Alex, enters Antique Books in the 1960s and finds the story of Kevin, his search for Oliver Lee, and answers to Kevin's possible connection to her. Her grandmother, GG, reveals how she knew Kevin as a boy, when she was called Jennifer. Book three introduces Spero, the granddaughter of Alex, and the daughter of a loving interracial couple, Kevin and Jennifer. The past is finally revealed about Oliver Lee and the lies he told to save Kevin, Jennifer, Spero, and others. Their Streamed stories unveil the relationship between a young black man, Ollie, and an ambitious young white woman named Erica. Following the Civil War, Antique Books is just being built. Erica is the owner and Ollie is her sales clerk. The young man seems odd and mysterious. His captivating stories speak of a future yet to come. Although Erica is engaged to be married, she yearns for Ollie and a future that can never be.